Many people think of mentoring as something that is primarily intended for students or planners entering the first phases of their career. For this reason, formal mentorship programs often exclusively target new professionals. However, mentoring during the middle of one’s career is equally important and a critical component of moving into planning leadership. Once you’ve developed the planning technical abilities needed to do your job, skills like executive presence, relationship building and decisiveness are often needed to advance into a leadership role. A mentor in your mid-career can help hone these skill sets, as well as provide guidance, nurture strategic thinking, and introduce you to important professional connections. Blog authors Melissa Dickens, AICP, and Kathy Gademer, AICP, discuss the Career Advancement for Mid-Level Planners (CAMPs) program, which is offered by the Sun Coast Section of APA's Florida Chapter. Gademer notes how critical her mentor was in preparing her for managing a staff of planners. Although many planners remain in contact with advisors from early in their career, it is prudent for those with a few years of experience to regularly seek out mentoring opportunities to help advance these important characteristics. APA chapters or sections can develop a formal mentoring program. The APA Florida Sun Coast Section recently launched its Coaching for the Advancement for Mid-Level Planners (CAMPs) Program, which matches mid-level professionals (those with at least five years of experience) to senior planning leadership in the community. Mentors and mentees are matched based on career goals, skill sets, and a simple questionnaire. The pairs meet throughout the year and the relationship provides motivation and accountability to help develop new skills, enhance professional networks and define “next steps” for achieving career goals. This program kicks off with an annual Planning Director Panel and networking event, providing advice in a group setting and broadening mid-level planner career connections. If there is not a formal program in your area, it is still important to look for opportunities for mentoring. Many people shy away from reaching out to executive directors or planning managers, assuming they may be too busy to take on a mentee. In our experience with the CAMPs program and in seeking out other advice, every single planning leader we have reached out to is eager to help. Framing the conversation appropriately and developing a relationship first is important. It wouldn’t be advisable to cold call a stranger to “be my mentor,” and many may find a formal request a bit awkward. However, there are ways to establish these types of relationships organically. For example, the next time you are at a panel or presentation, you can try talking with one of the speakers after the event, then follow up with an email to meet for coffee or lunch. Do your homework and come prepared with questions, but also let the conversation flow naturally. After the initial meeting, regularly providing information on topics that may be interesting and setting up times to talk helps to develop a mutually beneficial professional connection. Before you know it, you have someone you can naturally seek guidance from, and the informal relationship progresses from there. Mentors are invaluable at every stage of your planning career. At the mid-career level, these advisors can often be the difference between plateauing or making the move to planning leadership. Whether a connection is established through a formal program or an informal relationship, having a mentor (even better, a network of mentors) is critical to continuing to grow, develop and enhance your planning career. Learn more about CAMPS and read the application guidebook. 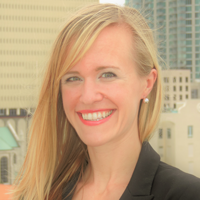 Melissa Dickens is the APA Florida Chapter's Sun Coast Section chair and a senior planner with the Hillsborough County City-County Planning Commission. Dickens has over 10 years of public and private sector planning experience in the Tampa Bay area, with a background in land use and environmental planning. She has been active in Sun Coast Section leadership since 2013 and also serves on APA's Water and Planning Network Steering Committee. Kathy Gademer is the secretary of the APA Florida Chapter's Sun Coast Section and principal planner for Pinellas Park, Florida. 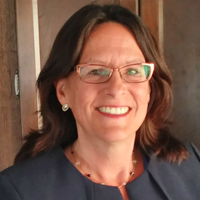 An award-winning certified public-sector planner, she has successfully overseen adoptions of city- and county-wide comprehensive plan elements, land use amendments, neighborhood and master plans updates, and capital improvement schedules. She has a dual master's degrees in Urban Planning, Design, and Development and in Public Administration.